...I Added Three New "ONS" to My Etsy! What are "ONS" you ask? The Story of how the "ONS" (Once Nekkid Shuttles) came to be. Once upon a time, the tatting shuttles were feeling a wee bit... um.. well.. nekkid! The Nekkid Shuttles wanted to be pretty and not plain, not that there was anything wrong with being plain. These shuttles just wanna have fun! They searched deep into Karrieann's box of scraps, scraps long forgotten. The soon-to-be "ONS" found a heap full of delightful scraps suitable for their "fun" purpose and using what was already available is a very wise thing to do! Karrieann was enlisted by the soon-to-be "ONS" for their fashionable attire! Love and patience went into each individual nekkid shuttles. Soon, one by one the nekkid shuttles bloomed into proud "ONS"
...Yesterday was My Guy's Day! Yesterday was my Hubby's special day, his birthday! Sooo, did we do anything special? Well, we did take care of our errands and contacts. Then got some gasoline for my vehicle. Gas prices... OUCH! Then we went to a restaurant in town, one that we had never tried. I have no idea why we haven't gone there for the whole 7 years of living here! Well, we are pleased to say that Mike's Pizza & Sub was well worth the wait for this realization! Hubby and I ordered the Bistro Burger and fries with sweet tea for Hubby and unsweetened tea for myself. The burger was as big as the plate. Below are some pictures to illustrate that! Mike's Bistro Burger, step by step, sizzling on the grille! Even though I was hungry, I was unable to finish my burger. I ate 1/4th of it and packed up the rest to have at home for the next meal and the next... See, it is big! 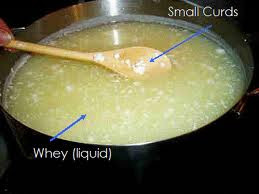 ...I have been busy on and off making curds and whey! Why, you ask? Because it is easy and pretty! Oh, but not this kind of curds and whey! Isn't this pretty! I mentioned that it was easy too This pattern is tatted up with one shuttle, Rings only! My cup of tea! I love and adore anything to do with one shuttle and rings ONLY!!!!! Easy to take with you, no balls to worry about nor the second shuttle! This pattern is Curds and Whey by Mary Koniors and this is in her "Tatting with Visual Patterns". I am doing this in size 20 Cordonnet, the colorway is Karey Solomon's "Early Rising". I am sorry to say that my photos does not do this color justice! The photo with the ivy background is the closest to the colors beauty. So far I have 18 inches! ...A Merger, The Old With The Current! When we first adopted Abigail, our beagle, I created a blog based on her. Well, there only was so much that I could blog for her and after awhile grew tired of keeping it updated and current. So that blog eventually faded off into a memory, which has saddened me a bit. There are many wonderful posts, not to mention the photos of Abigail's early years. When I created this blog, I wished to bring all of those old posts over but didn't know how ...UNTIL now! I am so tickled pink. I managed to merger those old blog posts to this current blog! Somehow the words export and import just made sense finally! I smiled as I read those old posts and was surprised to see how much Abigail has aged. If you would like to catch up and read those posts just go to my "Labels" on the right side and click "Abigails Original Bog". ...Until an occasion brings that word forward again. The last time that I even thought or discussed about appendix was nearly forty years ago at high school! We kids would know of someone who had been out of school for a brief period and wondered ..where's Johnny? Then he would show back up showing off his scar of courage for getting his appendix out. We would think that was kewl. I don't know about you but all I knew about the appendix then and before last week was it was located somewhere in the lower right region of the stomach area. That was it! Okay, time for a bit of education!